The issue today seems not to be on how leaders from political to scientific establishment engaged in money laundering, tax avoiding and tax evading. Rather it seems to be on how use it for political purpose to upset the existing regime. The Panama papers on offshore accounts by Pakistanis have created a political storm in the country. While in other countries, the issue did hog the limelight in the media, but the debate moved on. 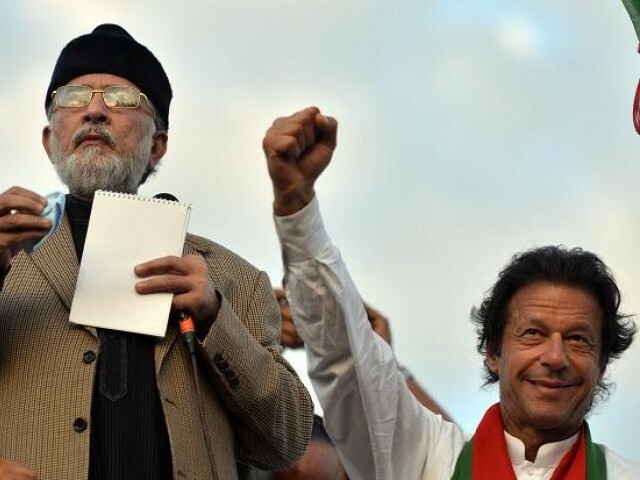 In Pakistan, there has been a political deadlock since April - both inside and outside the Parliament, a media trial and controversies over the terms of reference (ToR) to appoint a judicial commission to investigate. Significantly, more than using the expose to demand accountability, there seems to be an attempt to dislodge the Sharif government, or at least the Shariffs. Though the political parties agree to form a judicial commission, they seem to be divided over the ToR, with Imran Khan wanting the issue to dislodge Sharif and himself becoming the Prime Minister. The military also seems to be playing its cards closely. Is Pakistan heading towards another political showdown as it happened in 2014? For Pakistani media and the general public, it is just another issue. As it has happened in many other countries, it did create a storm amongst the public, but they seem to be willing to move. Everyone is corrupt, so what is new in the Panama expose – seems to be the general attitude of the public. Scandals, scams and controversies – the public in Pakistan has been witnessing one after the other and for them it is another form of entertainment. There are other serious economic and security issues and they would want to move on. But not for the political parties. Especially Imran Khan and his PTI. For the last few weeks, the entire opposition and the PML-N was fighting both within and outside the Parliament on what needs to be done. In principle, all political parties including the PML-N have agreed to form a judicial commission to investigate the names that have been listed in the Panama papers. Though Nawaz Sharif was reluctant at the beginning for such a process, it is acceptable to him now. But the primary differences on the judicial commission are related to what should be the terms of reference. While the opposition parties are united in pursuing a judicial investigation into the leaks, there seems to be a difference primarily between the PTI and other opposition political parties. The PTI wants first the resignation of Nawaz Sharif. Other parties such as the MQM, ANP and PML-Q want the investigation first. For the PTI and Imran Khan, this is a political opportunity to displace not only Nawaz Sharif, but his entire family from politics. Since Sharif’s family members including his children are named in the Panama leaks, Imran Khan wants to use this and politically banish the entire Sharif family. He understands, not only Nawaz Sharif, but his brother (who is now the Chief Minister of Punjab) and his daughter Mariam Sharif (who is rising fast within the PML-N) are a political threat to him and his party. Even if Nawaz is convicted, his dynasty could carry on with the PML-N, which will remain the greatest political threat to Imran’s PTI. And that is why he wants to take the issue to the road, as he did few years ago on another issue. Another issue that is extremely political in the terms of reference related to whether the commission should investigate across the board, or start with the Prime Minister and his family first. Equally controversial is the point that “the burden of proof in all matters shall be entirely on the respondent (Nawaz Sharif) and his family to prove their innocence.” Both are clearly political. Who will conduct the inquiry has been another controversy, which is not settled yet. While the government was initially keen to form a commission under the existing legal framework within Pakistan, the opposition demanded a “new judicial commission” constituted by a special act of the Parliament and headed by the present Chief Justice of the Supreme Court. Even Justice Jamali, Chief Justice of Pakistan was quoted to have observed: “Formation of Commission of Inquiry under the Pakistan Commission of Inquiry Act 1956 (Act VI of 1956), looking to its limited scope, will result in the constitution of a toothless Commission, which will serve no useful purpose, except giving bad name to it.” The fact that the opposition parties demand a Judicial Commission promulgated by the Parliament and the CJP remarking on Pakistan Commission of Inquiry Act 1956 also highlight the nature of governance process and trust in State led commissions! Where does the military Establishment stay in this? Gen Raheel Sharif took few unexpected measures leading to the sacking of few military officials including a Lieutenant General and a Major General involved in the Panama expose. It gave a huge publicity to Gen Sharif and the military Establishment, forcing the general public to demand a similar accountability process from the political Establishment. Gen Sharif also talked about an “across the board accountability” which was considered as a measured threat to the PM Sharif. The former also talked about a speedy resolution of the crisis, when the ruling party and the opposition locked horns on the issue. It is not clear, whether the military wants to step in using this crisis. At least not now. Perhaps, it is Imran Khan and his PTI which wants to bring the military in, and use it as an opportunity to dethrone the PML-N. Given the fact that Imran’s name also figure in the recent list, it is unlikely that he would have a clean image, that would help him to win the elections, if the present Parliament is dismissed. His strategy would be to create a political deadlock, paralyse Pakistan and bring the military in, so that he could become the Prime Minister. The issue today seems not to be on how leaders from political to scientific establishment engaged in money laundering, tax avoiding and tax evading. Rather it seems to be use it for political purpose to upset the existing regime.